As you might remember, in June I was at the Integrate 2018, doing a presentation called Exposing BizTalk to the World. It was my second time presenting on what became the premier conference on Microsoft Integration and it was a fantastic experience. It wouldn’t be fair to talk about Integrate without thanking Theta for sponsoring my trip and time of work and BizTalk360 for organizing a great event. But why am I talking about this almost four months later? Apart from the shameless plug, during that presentation suggested a couple of ways to expose BizTalk endpoints. One of the options was using API Management to expose BizTalk receive locations, and the other was using Azure Relay to bypass firewall and securely expose BizTalk endpoints. 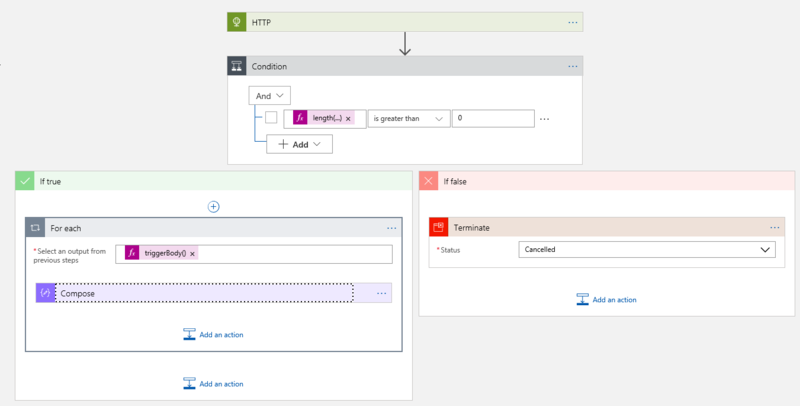 Have you ever created a logic apps solution – maybe 10 or so logic apps – and noticed that you needed to enable basic notification alerts for all of them? I found a while ago that this was kind of a tedious process, so I end up creating a PowerShell script for that. I end up forgetting that I never blogged about that, so here it goes. I am still working on an API Manager DR scenario for a client. After automating the backup and restore process, to make sure that the APIM instances are always in sync, I needed to setup Traffic Manager in priority mode to distribute the calls between the main and secondary instances. Traffic Manager setup seemed quite straightforward. 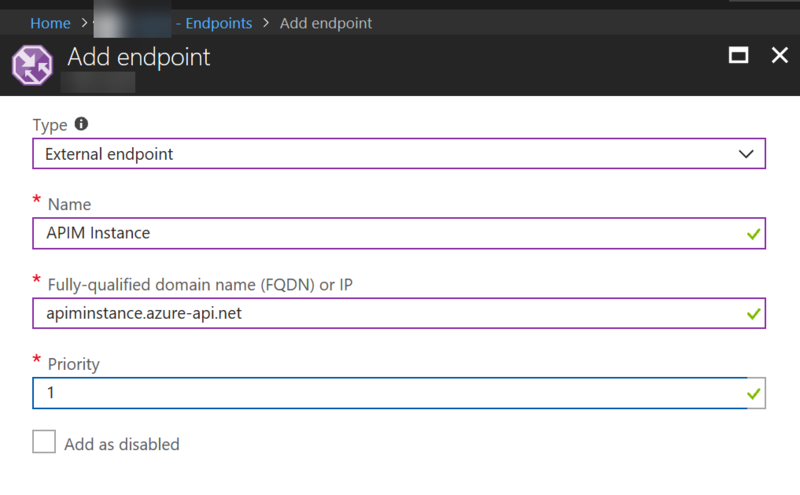 You just need to create a traffic manager endpoint for each API Manager Instance, using the external endpoint. Creating that for each endpoint should do the trick… Or so I thought. After that setup was complete, testing the endpoint always returned 503, even though access each individual endpoint was returning the correct result.